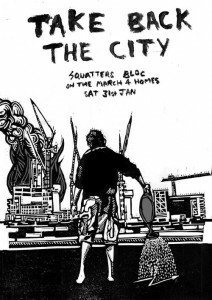 From Squatters in North and South London. Are we going to let all of London become a playground for rich fuckers? Where every inch of space is taken for profit? 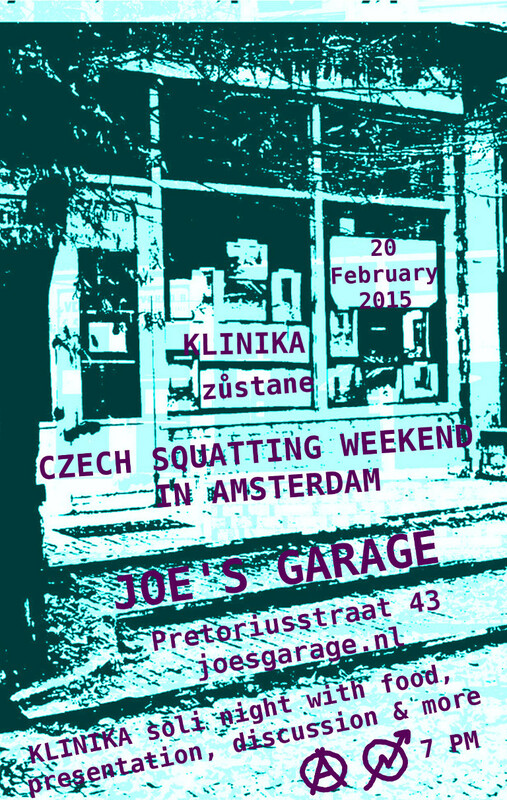 A sterile zone drained of history, culture and life? Are we going to hand it to them without a fight? 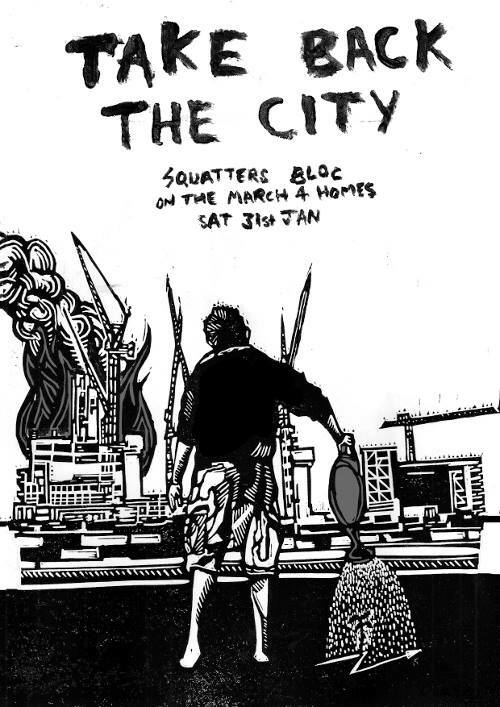 Join the SQUATTERS BLOC on the March for Homes. 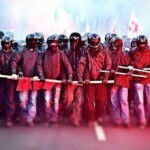 Cremona, Italy: Solidarity with Emilio! On the 18th January, in Cremona, Italy, the squat CSA Dordoni  was attacked by a group of around 60 fascists (among others from CasaPound ) armed with iron bars. A comrade, Emilio, was hit on the head and has since been in hospital in critical condition, between life and death. 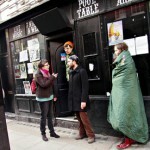 Soho is under threat of gentrification endangering Our cultural heritage. 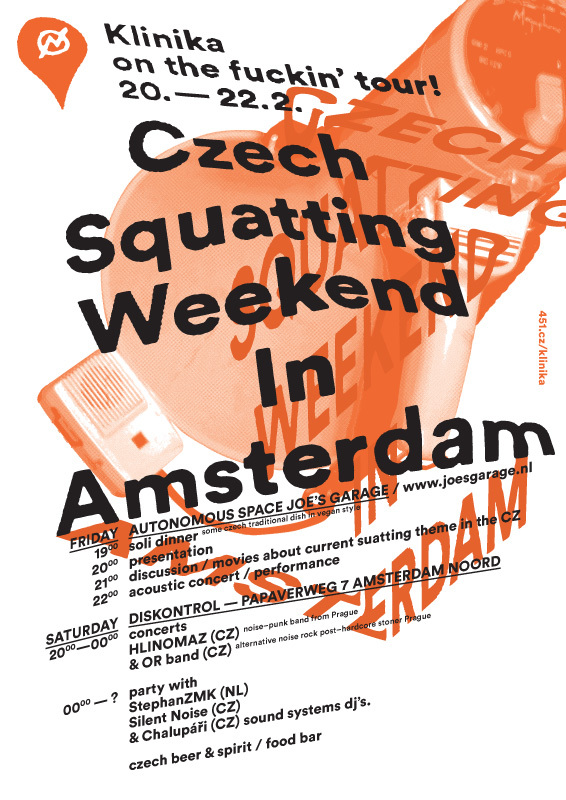 Without culture society cannot exist. We are a collective of Artists, activists and campaigners who are willing to become Cultural Heritage Wardens, in order to prevent the disillusion of culture from Our history. For too long the GLA(Greater London Authority) and local Councils have dictated through Rent increases, as well as business rate increases the services available in specific areas of London. It is unfair, discriminatory and in-just that areas established in the 1690 ’s are not subjected to heritage laws, that protect the establishment and their aims. As opposed to the will of the people, that the establishment represent. London’s venues are dying a grisly death. There are high-speed rails to build and cultural institutions to be redeveloped into luxury flats that nobody’s going to live in, and it’s the city’s nightlife that’s been selected to pay the price. Madam Jojo’s, The Joiners Arms, The Intrepid Fox and Vibe Bar – among a raft of others – have all already been forced to serve their last pints and shut up shop. Last week, after an 18-month battle with the Crossrail project, the The 12 Bar Club on Soho’s Denmark Street closed down, too. 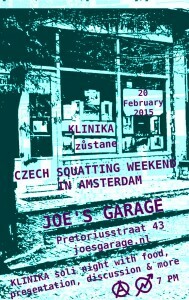 The venue has been moved to a new location in Islington, so at least it’s still alive in one sense. But the story is the same here as it was when the Southbank Centre suggested moving the nearby 40-year-old skatepark from the “undercroft” to another spot just down the river; the Tin Pan Alley location was steeped in a history that’s a little harder to relocate. STOP THE DESTRUCTION OF ANCIENT TREES! 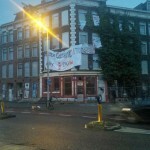 Today, just after the eviction of the Pieter Vlamingstraat 98, the squatted building on Kerkstraat 104 got the 8 weeks eviction letter. 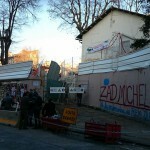 The house was squatted on the 7th of December, and according to the letter it will be evicted before the 18th of March. 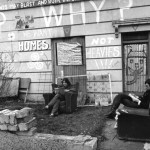 Will there be an eviction wave, as Van der Laan wishes to re-establish it? If other houses got eviction letters for the same period, please let us know. 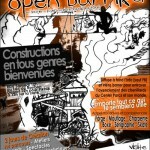 The 7th, 8th and 9th February 2015 an OPEN BARRICADE Festival will take place on the zone à défendre (ZAD) of Chambarans, against deforestation and the construction of a Center Parcs. Two days of building original barricades of course. 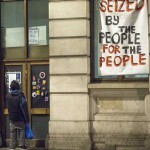 Police have launched a two-day crackdown on squatters and housing activists in one of London’s most iconic squares after complaints of harassment. Police have designated the area between Trafalgar Square and Charing Cross as a dispersal zone in a bid to rid the area of rough sleepers and street drinkers. Today, Friday the 16th, the building is not yet evicted. 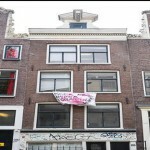 The buildings on the Pieter Vlamingstraat 94-96-98 had been empty since 2008, when the tenants were kicked out. The demolition of these and other surrounding buildings started in 2009 with the exception of Pieter Vlamingstraat 98, where the owner of the coffeshop on the ground floor refused to leave. The original plan of De Key was to demolish the existing social houses for building luxury apartments for the free market. The neighbors protested against the plan, started a court-case and the project was eventually rejected. De Key then proposed to build both social and private sector apartments, but this was rejected as well. Eventually De Key proposed to build 145 apartments for students, and the projects got finally approved despite the opposition of the neighbors, who started yet another court case against De Key but lost it at the end of 2014. More details have emerged of an alleged gang attack on squatters, said to have involved a 30-strong mob armed with bats, poles and screwdrivers. The three had been staying in an empty building in New Road, Chatham, for four days when they claim they were targeted.